This text shows that two distinct forms of agreement must be recognized in linguistic theory. Sandra Chung demonstrates that in addition to what she calls Feature Compatibility - the relation that lies behind morphological agreement, such as subject-verb agreement in English - there is an abstract syntactic relation, the "Associate" relation, which holds between categories in a range of syntactic constructions. The primary source of evidence is Chamorro, a language of the Austro-nesian family spoken on Guam and Saipan. Chung relates her analyses to what is known about analogous constructions in English, Italian, Irish, Japanese, Maori, and various other languages. This text is a step in the effort to uncover the fundamental building blocks that serve to organize natural language systems. 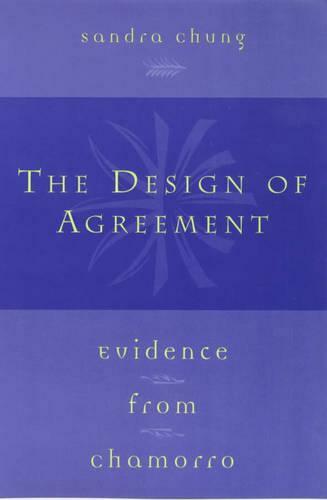 The study of agreement and its connection to the rest of grammar is a striking contribution to linguistic theory.